At the end of the 20th century voice against concrete jungle was all time high. Before we really address the urbanization woes with an effective town planning, we are standing at a crossroad of climate change, which is not only affecting the earth and the nature on the earth, but basic human life. While we are combating the climate changes, a tiny nation shows us the way with a creation that is not only a sure shot to restore the nature, but also a way of joy and entertainment. Singapore has designed a perfect urban retreat in the middle of the Lion City’s bustling city centre. The Gardens by the Bay is a magnificent collection of gardens and lakes in the heart of the city that adds an impressive glory. It showcases the fascinating aspects of the mother nature in a most artistic way. 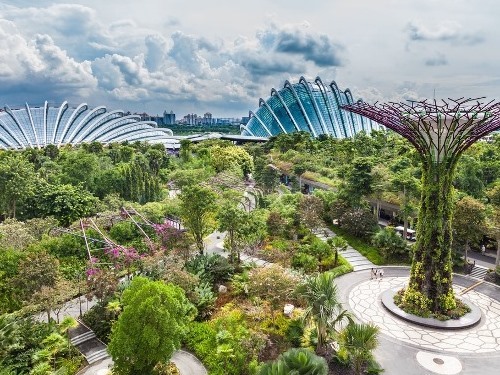 For an average Singaporean, Garden By the Bay is a perfect oasis that teaches the best way to harmonize with nature and tell the significance of protecting the mother nature. The Garden By the Bay is a fascinating part that features the signature Flower Dome and Cloud Forest cooled conservatories, and the awe-inspiring Supertrees to get you as close as possible to the nature’s fundamental glimpses. 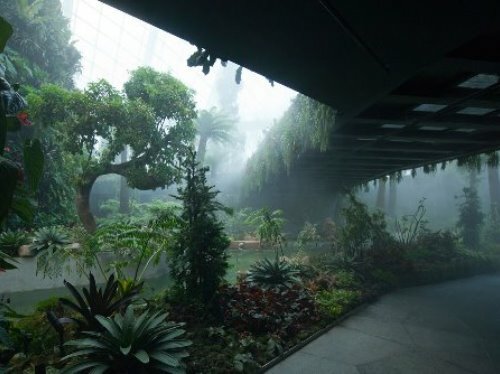 The natural beauty of the gardens translates indoors. Dine in style at a range of eateries across the gardens, from casual cafes to posh restaurants, all with interiors designed to reflect the splendor of Gardens by the Bay. 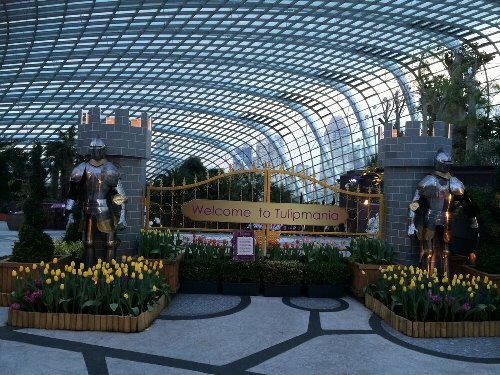 This multi-award winning horticultural destination spans 101 hectares of reclaimed land. Located next to Marina Reservoir, the Gardens by the Bay offers breathtaking waterfront views. 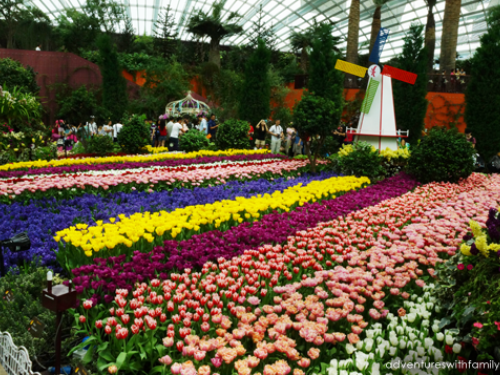 Made up of two main areas – Bay South Garden and Bay East Garden, the Garden By the Bay provides mesmerizing picturesque scenes across three gardens. The Bay South Garden is the largest of the gardens. Inspired by an orchid. 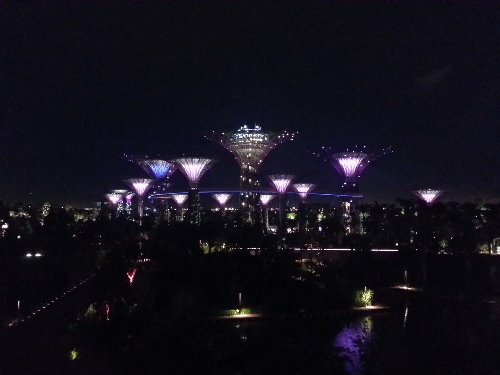 The design of the garden resembles at Singapore’s national flower, Vanda ‘Miss Joaquim’. Made of a Supertrees, these tree-shaped vertical gardens are between 9 to 16 storeys tall. 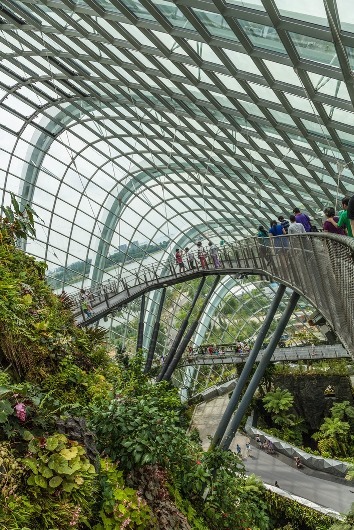 The suspended walkway between two Supertrees gives you a perfect pleasure of having a bird’s eye view of the gardens. Bay East Garden offers the perfect spot or the family picnic. Set with the lush green lawns and tropical palm trees, you will see a picturesque view of the city skyline from the waterfront promenade. 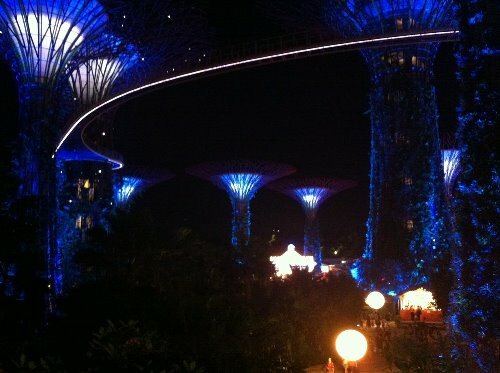 In the evening, catch the sky show of choreographed lights and sounds at the Garden Rhapsody amidst the Supertrees. 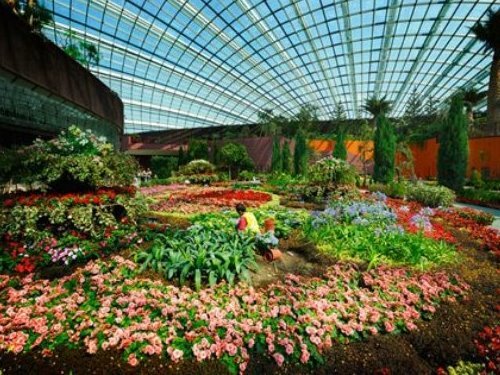 The Garden By the Bay has two conservatories: the Flower Dome and the Cloud Forest. The Flower Dome is the lower, but larger of the two conservatories, which replicates a mild, dry climate and features plants found in the Mediterranean and other semi-arid tropical regions. With seven different gardens as well as an olive grove with a bistro, the Flower Dome has central changing display field to enable flower shows. Unique to Gardens by the Bay is the Cloud Forest. 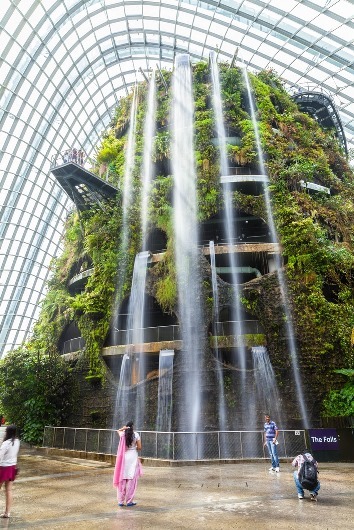 Within the enclosed compound, a 35-meter tall mountain is veiled in mist and covered in lush vegetation amidst the world’s tallest indoor waterfall. Here, you will find plant life from tropical highlands up to 2,000 meters above sea level. The Garden By the Bay is the perfect example of how cities can be transformed into a model city with enhanced greenery and flora to raise the quality of life. So do you want your stay in Singapore to be more delightful? Make sure you check out this city gem.